Frigid temperatures and harsh climates can’t stop Jesus’ love from flowing out of national pastors. But a simple gift of a blanket helps the “hands and feet of Christ” stay warm and protected so they can minister to people around them! Following are a couple of stories highlighting various tools given to GFA-supported workers, which equip them for ministry where God has called them to serve. Tools like winter clothing and film equipment are crucial for thriving ministries in bringing the hope of Christ to people. Through faithful donors, these stories are made possible. It was Christmas in 2008. Pastor Etash shivered as he stood underneath the roof of a cow shed. A group of Sunday School children was about to arrive. This was his first Christmas in the village where God had called him to serve. The cold weather didn’t stop Etash from doing the work the Lord had given him to do. In this region, where even the summertime nights call for a blanket to keep warm, the winters can become fierce and harsh. 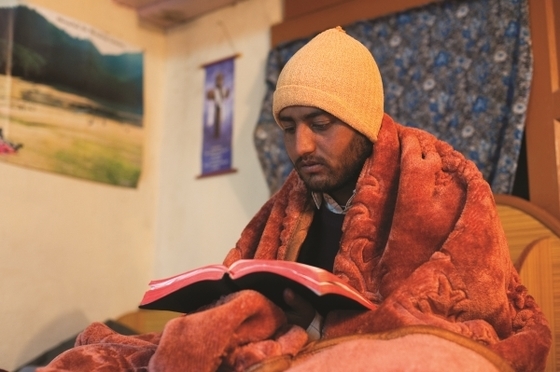 But over the years, as Etash has served faithfully in this frigid village, he has been blessed with a simple gift that keeps him effective in serving the Lord: a blanket. Because of giving donors like you, Etash has been able to be the hands and feet of Christ to those around him all year round. Today, Pastor Etash has a beautiful church building replacing the humble cow shed he used for worship gatherings. The Lord has blessed his endurance, and fruit has come from his committed labor. A generator, a DVD player and a projector are ordinary tools— but in the hands of a GFA-supported film team, these tools give many people the chance to understand the life of Christ. Film teams are far more than simple projectors, screens and laborers. Film teams are all about demonstrating the hope of Jesus to the hopeless through tools that help bring the reality of Christ to life. Often a simple film about Jesus can impact an entire village. After a film showing, teams are able to direct the crowd to the local pastor, which helps open the door for him to build new relationships in his area of ministry. One film team, led by GFA-supported worker Citrya, has experienced a lot in its members’ years of ministry. Here is a peak at what happened in two villages they visited over the span of one month. 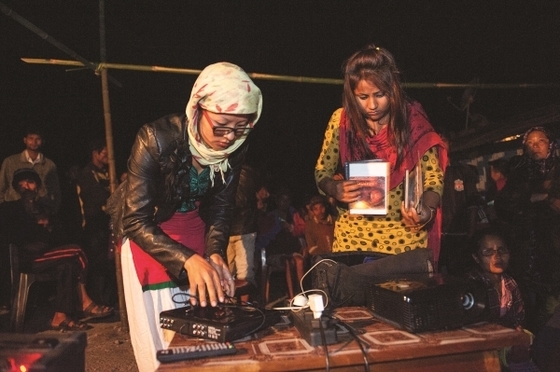 In one village the film team was welcomed with open arms as a group of 160 villagers gathered to watch the movies they had brought. After the show, three youth asked the local pastor, who had invited the film team to come to his village, to tell them more about Jesus. As a result of this showing, the pastor was able to conduct a prayer meeting, and many seeds of hope were planted in the villagers’ hearts. In another village a few days after this event, the film team began a screening that was kindly hosted in a villager’s home. However, as the film was still going on, a few intoxicated men disrupted the gathering of 50 people. They shouted and told the national team to stop the film. In faith, the brothers continued the film, but the drunken men responded by throwing stones at them from a distance. The owner of the house told the agitators to stop. The men quit opposing the film team, but they had caused enough distraction to keep people from openly receiving the truth of Christ. Citrya and the other film team members know that even when things don’t go as hoped, God is still at work! And they, too, will continue their work. Thank you for being part of seeing more people come to understand the love of Jesus, the risen Lord, in villages such as these.